Age Limit: Candidates age limit is 30 years for General CBT as on 01-01-2015. Age relaxation is applicable as per rules. Educational Qualification: Candidates should possess Engineering Graduation in Environmental Engg/ Environmental Science or Graduation in Engineering discipline with M.Tech/ M.E in Environment Engineering/ Science for Assistant Executive Engineer Posts. Selection Process: Candidates will be selected based on Computer Based Test, written test/ GATE Score, qualification and interview. Application Fee: Candidates (CBT based support posts only) have to pay Rs. 750/- for General (Rs. 150/- for SC/ ST) by deposited at any branch of State Bank of India through the challan in ONGC Power Jyoti A/C No. 30827318409 of SBI, Tel Bhavan, Deharadu. 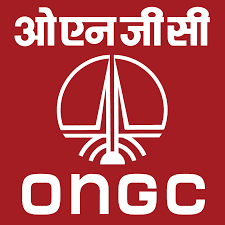 How to Apply: Eligible candidates may apply online through www.ongcindia.com from 21-03-2015 at 10:00 hrs to 10-04-2015 by 18:00 hrs. 1. Log on to the website www.ongcindia.com. 2. Click on Recruitment Registration from 21 March 2015. 4. Click on New Registration CBT Based Posts. 5. Read all General Instructions and Submit. 6. Fill all the mandatory details. Starting Date for Submission of Online Application: 21-03-2015 at 10:00 hrs. Last Date for Submission of Online Application: 10-04-2015 by 18:00 hrs. Tentative Date for All India Computer Based Test: 10-05-2015. Age Limit: Candidates age should be 30 years for General, 33 years for OBC, 35 years SC/ ST 40 years for PWD candidates as on 01-01-2015. Age relaxations are applicable as per rules. Educational Qualification: Candidates should have Graduate Degree in Law (Professional) with minimum 60% marks. How to Apply: Eligible candidates may apply online through the website www.clat.ac.in for CLAT-2015 Exam from 01-01-2015 to 31-03-2015 & send their application along with self attested copies of CLAT-2015, registration slip, CLAT admit card/ hall ticket containing examination roll no, in an envelop should be superscribed as name of the post applied for “Application for Recruitment of Assistant Legal Advisor through CLAT-2015 Examination, Advt.No2/2015 (R&P)” to the Deputy General Manager (IE), Recruitment, ONGC, Green Hills, Ground Floor, ‘B’ Wing, Tel Bhavan, Dehradun-248003 from 16-04-2015 to 15-05-2015. 2. Before applying online candidates upload their photoes and valid email id. 3. Online registration for CLAT-2015 examination for LLM. 4. Log on to the website www.clat.ac.in. 9. Take print out of registration number & application form for future use. Starting Date for Submission of Online Application: 01-01-2015. Last Date for Submission of Online Application: 31-03-2015. Accessibility of Admit Cards/ Hall Tickets of CLAT-2015: 15-04-2015. Starting Date for Receipt of Application: 16-04-2015. Educational Qualification: Candidates should possess MBBS having valid Registration with MCI for S.No- 1 & 2 and Matric with Science and Trade Certificate/ Diploma in Pharmacy for S.No- 3. How to Apply: Eligible candidates may attend the interview along with bio-data in prescribed format on A4 size paper, original certificate, one set of photocopies of qualification, caste, birth, registration certificate of council/ Institute & experience if any duly attested by Gazetted Officer, two passport size photographs to be affixed in the application form and photo ID proof on 09-04-2015. Date & Time of Interview: 09-04-2015. Reporting & Registration Time: 0900 hrs to 1100 hrs. Venue: ONGC Guest House, ONGC South Colony, Agartala.